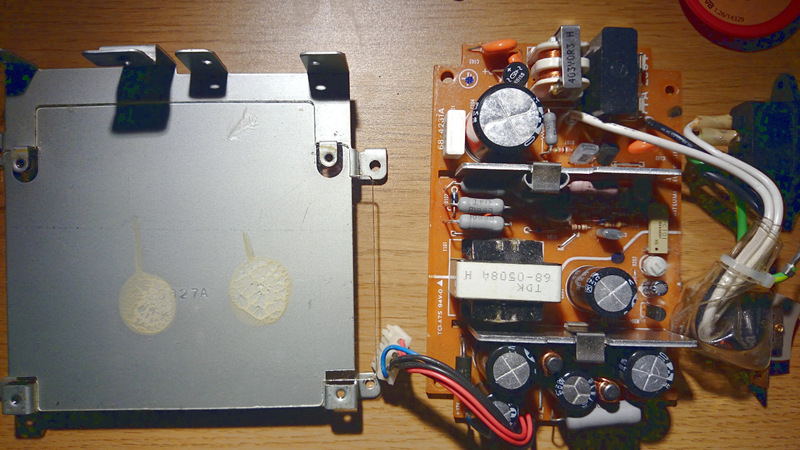 One of the first components to show symptoms of age in an old computer is the power supply unit. This might show up as unstable video output, frequent crashes, problems reading disks or even worse – other components giving up. One option is to take care of existing PSUs – exxos has an excellent guide as to what components might need replacing after 25 years – another is to get rid of the internal PSU altogether. While it’s fully understandable why Atari went from an external power brick in the original 520ST to an internal in the following models, the bricks of today are both quite small as well as there being a more urgent need to take better care (less heat) of our dear retro equipment. The picoPSU is a very small DC to DC converter that takes 12V (usually) input from a power brick and supplies the 5V and 12V (passthrough) an Atari ST/E needs (and 3.3V and -12V as well for regular ATX use). Being very small, generating almost no heat, it’s perfect for prolonging the life of an old Atari as well as freeing up space within the original case for other projects. It’s also able to supply power to additional connectors for such. Parts needed: Soldering equipment, an 80W picoPSU and an ATX connector + cable. I bought an ATX extender cable that for some reason did not follow any regular coloring scheme which you’ll notice later. Original PSU unscrewed from its plate. Here we can see the original protective plastic that we will later place the picoPSU upon. 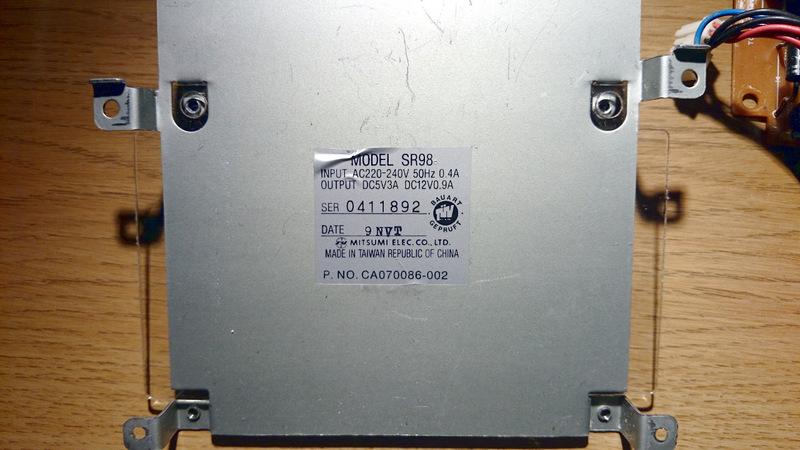 Make and model of the original PSU. 3A at 5V and 0.9A at 12V is well within the range of the 80W picoPSU model as shown above. First we desolder the original cable from the PSU to the ST motherboard – we want to reuse it later. 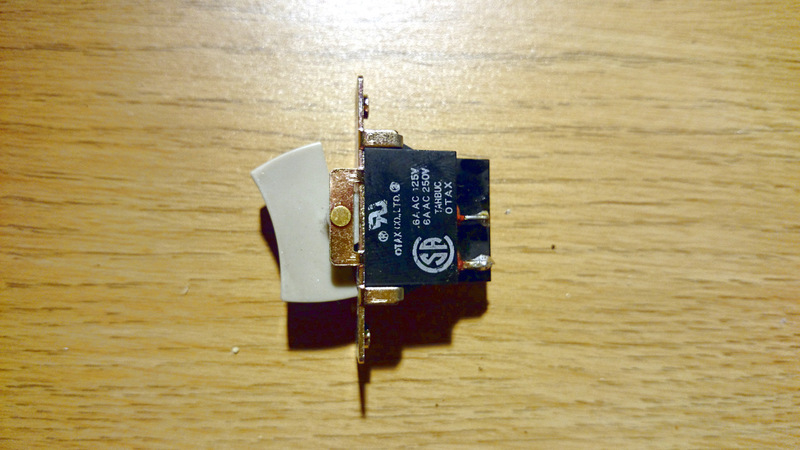 We also desolder the regular power connector and power switch. The latter, as shown here, we clean up and reuse later as well. Here we’ve soldered the original motherboard connector to a cut off ATX extender cable. 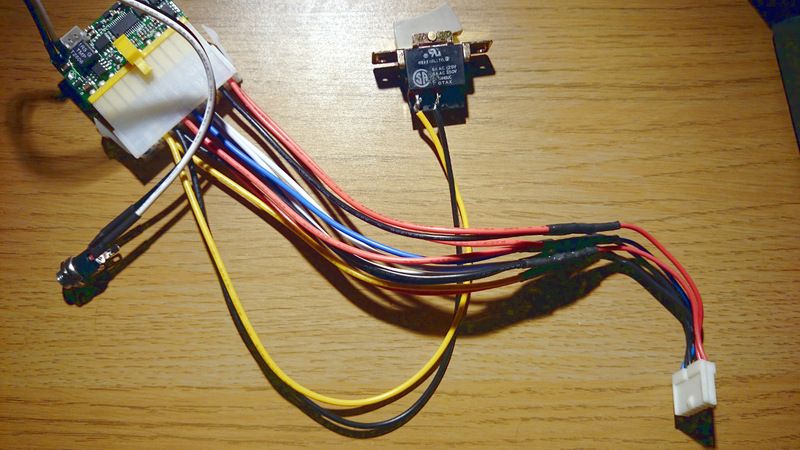 This specific cable did not follow the regular color scheme so I had to take good care making sure I ended up connecting ground to ground, 5V to 5V and 12V to 12V. 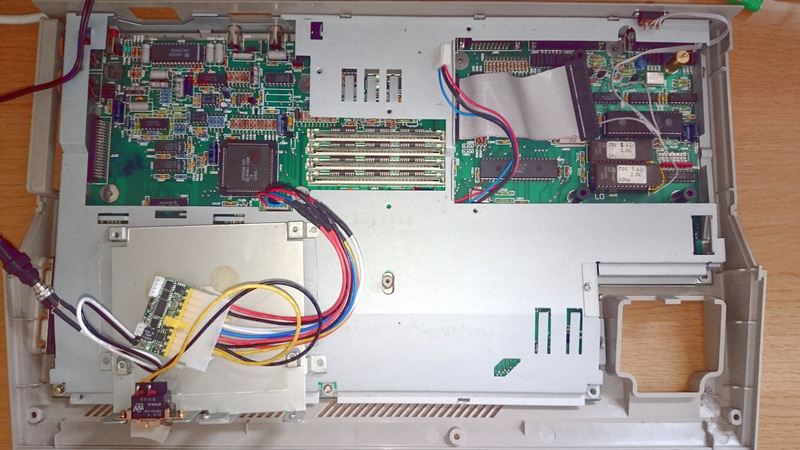 You can also see PS_ON and ground being routed to the original power switch – the ATX standard allows for “soft” power on which means the picoPSU will always be powered but itself only supply power to the motherboard once we switch on the Atari. This is a decision I might revert – the power brick I use suffers from high pitch squealing (not uncommon with switched PSUs) when connected but not under load. The other option would be to connect PS_ON directly to ground and instead put the switch on the incoming power wire (black/white cable going to the picoPSU in this picture). Now we can start laying out the components onto the original plate – and test. Before turning on the power with the Atari motherboard connected I must confess (mostly due to the lack of correct color scheme on the ATX cable) that I used a voltmeter several times making sure I indeed got the correct values. 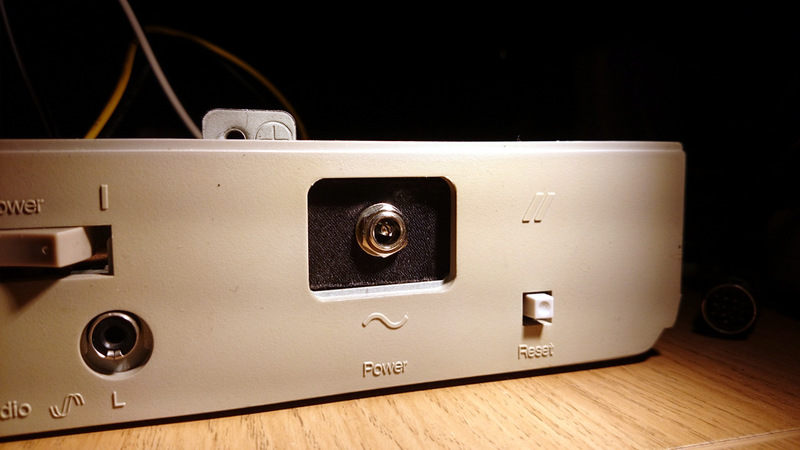 Since we’re now using a much smaller input power connector we need to create some sort of plate covering the old hole where the power cable used to be – as well as allowing us to fit the new connector. I found an old plastic case with some nice fabric on the inside that I could modify to fit. 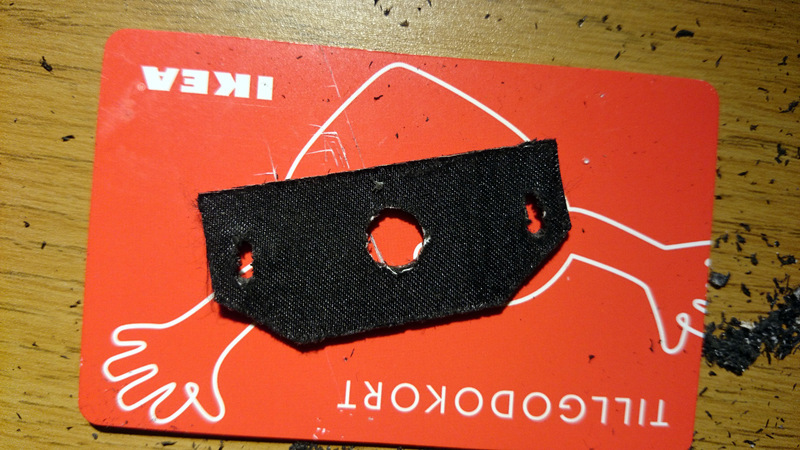 We’ll screw this onto the original PSU plate where it will press against the outer casing of the Atari. … and this is what we end up with. 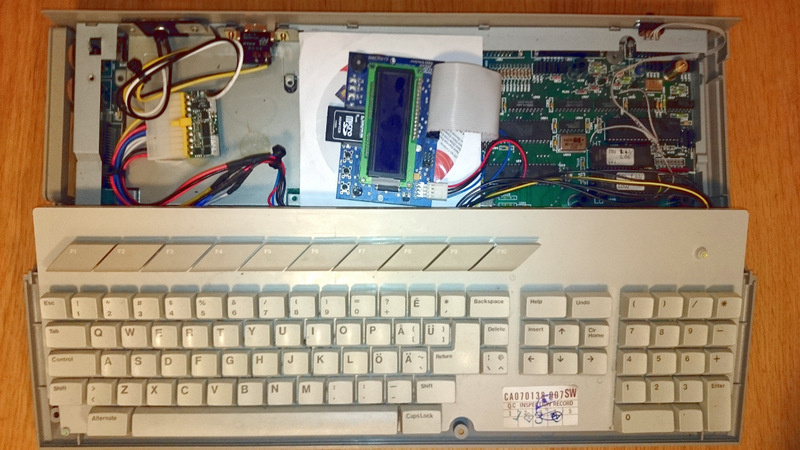 As you can see there’s now plenty of room for the HxC SD Floppy emu as well since we no longer need the metal casing around the PSU (and additionally the SIMMs I use are low profile) – and even more space available where the original PSU used to be. That’s where my next project is going to be placed, and that’s also the reason I haven’t hot glued the picoPSU into place yet in this picture. I hope you enjoyed this little writeup. I owe great thanks to thgill over at Atari-Forum for both the idea as well as his pictures which I studied extensively while doing the mod myself. Nice :) have thought of doing this myself but im a nooob :( maybe trying anyway! Is there any way you could do a 1:1 Atari STe pin to ATX Pin guide? I think I would feel just a bit more safe before doing my mod. I too bought this terrible extension cable, but can’t quite make out the connections in your photos, nor find a 1:1 pinout guide anywhere. The text links to an ATX pinout (“the regular color scheme”) and the ST cable is “standard” RED=5V, BLUE=12V, BLACK=GND.